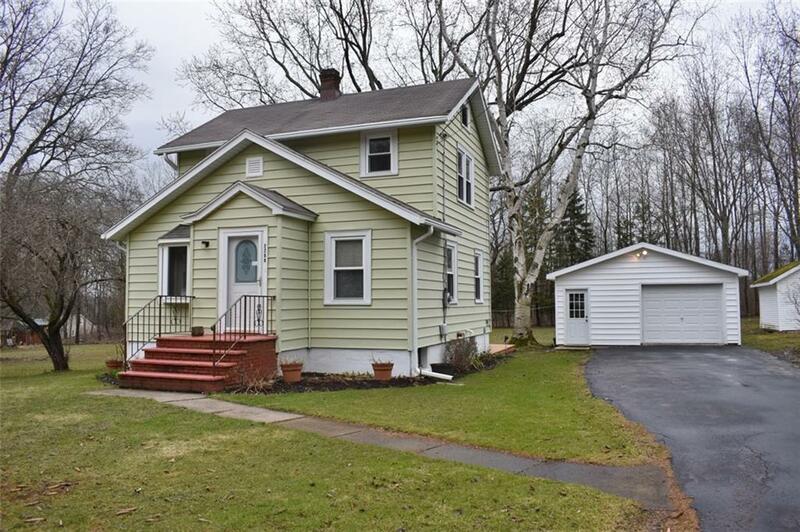 Adorable 2 bedroom home with 11 parcels. Falconer schools, city electric, city water. detached 1car plus another bay for storage. large deck. Fireplace is ornamental but could have a gas insert. all natural woodwork . sliding glass door off kitchen that goes to large deck. lots of room to add onto if needed. well maintained. newer furnace and hot water on demand unit. circuit breakers. House Sets on a 80x100 lot with 10 additional 40x100 lots for a total of 11 lots. The lot dimension on the listing of 200x240 is a total of all 11 lots. Directions To Property: Take Willard Street Ext , Just Pass Willow. Summit Blvd Is On Your Left Going Towards Falconer. House Will Be On Your Right Green Home With White Garage.